Saleh Shahinfar is interested in applying Machine Learning and Statistical methods in animal production, genetics, and wildlife. His career in application of machine learning and artificial intelligence in animal production systems started around 2004 when he decided to do a multi-disciplinary master on application of Neuro-Fuzzy networks in prediction of Holstein Sire’s breeding value. After a short period of working for GGI™ in Iran he moved to USA to pursue his PhD at the University of Wisconsin-Madison. 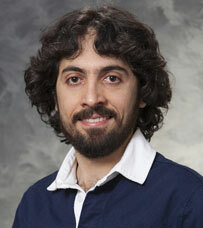 Saleh strengthened his skills on machine learning applied to animal production in his PhD. His thesis was entitled “Genomic and Phenotypic Prediction of Reproduction Efficiency in Dairy Cattle”. Prior to his graduation, he took the position as global product development analyst at Alta Genetics Ltd, where he built predictive models for selection of Holstein bull dams. In September 2016 he started a post-doctoral fellowship at the University of New England in Australia. In his new position he prototyped prediction models for various wool and carcass traits for individual Sheep as part of the Sheep CRC platform for sheep management and wellbeing; ASKBILL™. In August 2018 he started a new role in the department of Computer Science at UNE to work on the application of deep learning for detection of wildlife species. Saleh Shahinfar, Jerry Guenther, David Page, Afshin S. Kalantari, E. Victor Cabrera, Paul M. Fricke, and Kent A. Weigel., 2015, Optimization of Reproductive Management Programs using Lift Chart Analysis and Cost-Sensitive Evaluation of Classification Errors. Journal of Dairy Science 98:6: 3717-3728. Saleh Shahinfar, Afshin S. Kalantari, Victor Cabrera, Kent Weigel., 2014, Prediction of Retention Pay-off Using a Machine Learning Algorithm. Journal of Dairy Science 97:5: 2949-2952. Saleh Shahinfar, Kent Weigel, David Page, Jerry Guenther, Paul Fricke, Victor Cabrera., 2014, Prediction of Insemination Outcomes in Holstein Dairy Cattle Using Alternative Machine Learning Algorithms. Journal of Dairy Science 79:2: 731-742. Saleh Shahinfar, HassanMehrabani-Yeganeh, Caro Lucas, Ahmad Kalhor, Majid Kazemian, and Kent A.Weigel, 2012, Prediction of Breeding Values for Dairy Cattle Using Artificial Neural Networks and Neuro-Fuzzy Systems. Computational and Mathematical Methods in Medicine, Volume 2012, Article ID 127130.